Laura is a doozy of a mystery. I think it was made into a movie, and I believe I’ve seen parts of it, but I didn’t know the solution. A young woman is murdered one Friday night by a shot in the face with a shotgun. Her body isn’t discovered until Sunday morning when the maid arrives. The apartment belongs to Laura Hunt, a successful advertising executive who is to be married the next week. The first section of the novel is narrated by Waldo Lydecker, Laura’s long-time friend. He is an older man, a writer who considers himself an expert on crime. Mark McPherson, the detective in the case, calls to interview him about Laura. 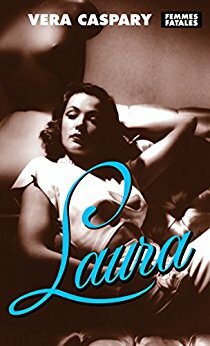 Laura seems not to have an enemy in the world, but she was about to marry Shelby Carpenter, a man with a need to feel superior, which it was difficult to do with a woman like Laura. But Shelby was about to marry the golden goose, as Laura was much more successful than he was. Would he have killed her? To his dismay, Mark feels himself falling in love with a dead girl. Laura has a couple of twists, one that I think I should have anticipated but did not. It packs quite an emotional punch, especially for a novel written in the 40’s, the era of the hard-boiled detective. 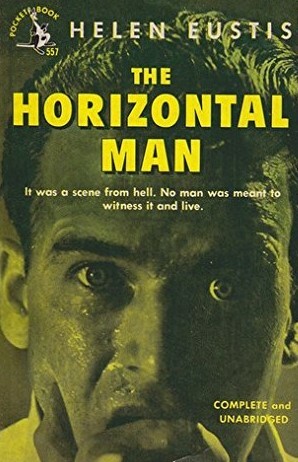 The Horizontal Man is the second novel included in my Women Crime Writers set of crime novels from the 1940’s and 50’s. I have only read one of them before, In a Lonely Place by Dorothy Hughes. The Horizontal Man begins with a murder. Kevin Boyle, a popular professor at a women’s college, turns away from a woman who is furiously protesting her love, only to be hit fatally over the head with a poker. Who is this woman? Kevin’s student, Molly Morrison, becomes hysterical when she hears of his death and seems to be taking responsibility for it. College President Bainbridge asks a psychiatrist, Dr. Forstmann, to evaluate Molly. Also investigating are college senior Kate Innes and reporter Jack Donelly. The college seems to be a haven for neurotics. Leonard Marks, the professor who lives across the hall from Kevin, has been squeamishly privy to Kevin’s bragging about romantic conquests and is achingly aware of how poorly he fits into academic life himself. George Hungerford is an eminent professor who recently had a nervous breakdown. And there’s something odd about Freda Cramm. Although we get to the answer before the characters do, this novel is truly chilling. I am really enjoying the novels in this series. 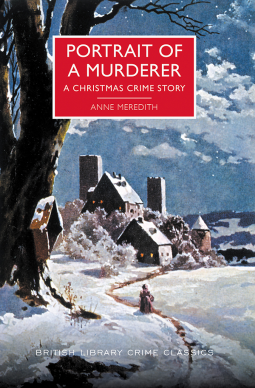 Set during Christmas of 1931, Portrait of a Murderer is an unusual novel. We know from the beginning who the murderer is, and at first it looks like he is going to get away with his crime. For its time, the psychological portrait of the murderer is surprisingly deep. Gathered together for Christmas are Adrian Gray and his family. Adrian is in financial straits because of reckless investments he made through his son-in-law, Eustace Moore. Adrian’s oldest son, Richard, is a member of parliament who has been spending heavily on a blackmailing mistress and his bid for a title. Eustace’s investments are all about to fail, with many investors bankrupted. Youngest son Brand’s need to pursue his painting full time has overcome his duty to his family. All three men plan to ask Adrian for money that he doesn’t have. Richard needs it to pay his blackmailer. Eustace needs £10,000 to keep his investors happy. Brand wants to offload his wife and children onto his father and sister so that he can return to Paris to paint. Failing that, he’d like a loan to support them. Brand goes to speak to his father around midnight on Christmas Eve. He gets so angry because of Adrian’s attitude toward his career and life that he lashes out. Meaning to slam a heavy paperweight onto the desk, he hits his father in the head instead. Soon he is standing there stunned by what he has done. But it’s not long before he begins trying to find a way out of it. His solution? Frame Eustace. This novel isn’t so much about the investigation as about Brand’s mental outlook. Dashing off a portrait of himself as he stands in the murder room, Brand recognizes his own genius and decides that nothing should get in the way of his art. Meredith seems, on the whole, sympathetic with him, even as he treats his own wife and children as discardable, simply because he is not sure of the children’s parentage. Brand’s brother-in-law, Miles Avery, is not satisfied when Eustace is charged with the crime. 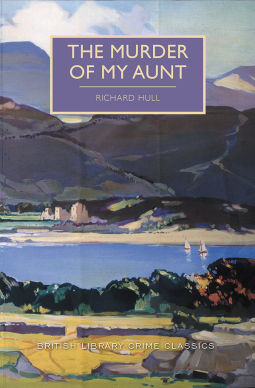 Despite his wife Ruth’s apprehension, he manages to work out what really happened. There are some things that are now considered politically incorrect in this novel, originally published in 1933. In particular, anti-Semitic remarks may bother readers. Then there is Brand’s Nietschean sense of superiority, reminding me a bit of Raskolnikov without the feverishness. However, it’s a fascinating character study. Who knew that A. A. Milne wrote novels for adults, let alone mysteries? I didn’t, until Simon of Stuck in a Book reviewed The Red House Mystery. Then I saw it advertised in Folio Society, of which I am a member. Our detective is an amateur, Antony Gillingham, who comes on the scene accidentally. He is visiting in the area when he remembers his friend, Bill Beverley, is staying at the Red House, a guest of Mark Ablett, so he decides to drop by. He finds a man hammering on the library door. This man is Mr. Cayley, Mr. Ablett’s secretary, who reports he has heard a gunshot from within the locked office. Cayley and Antony break in and find the body of a man who has been shot in the face. Cayley identifies him as Robert Ablett, the ne’er-do-well brother of Mark, just arrived from Australia. Mark Ablett, who had been in the room with his brother, is nowhere to be found. The police decide Robert has been murdered and begin looking for Mark. Antony begins noticing clues about the crime. Enlisting his friend Bill as his Watson, he decides to solve the mystery. With typical Golden Age verve, Milne makes this puzzle just about as complicated as possible. I usually don’t hope to solve these mysteries because of that. However, I did guess at part of the solution and then decided it wasn’t possible. Apparently, it was. What I enjoyed about the book was the congenial duo solving the crime. Antony is bright and witty, and Bill is jovial and loyal. 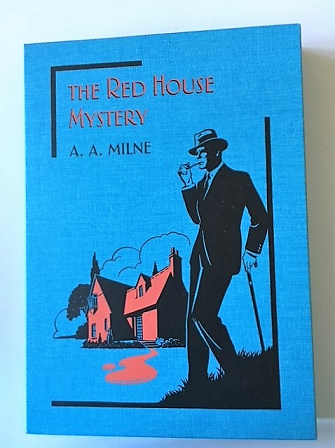 The Red House Mystery makes a fun light read. 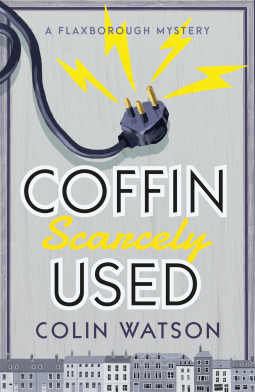 Although I am not familiar with Colin Watson’s work, when I read the title of Coffin, Scarcely Used, I just had to request the novel from Netgalley. Watson began writing in the late 1950’s and published more than a dozen books by the early 1980’s. This novel is his first. No one thinks anything of the death of businessman Mr. Carobleat until the more unusual death of Mr. Gwill, the proprietor of the local paper and Carobleat’s next-door neighbor. Mr. Gwill was found in a field near an electric plant, apparently electrocuted. Inspector Purbright of the Flaxborough police wonders if the death could be suicide, but this seems an unusually cruel way to go. Purbright is also interested in the comments of Mrs. Poole, Mr. Gwill’s housekeeper, hinting at some kind of supernatural events from next door. When Inspector Purbright begins looking into Mr. Gwill’s affairs, he is struck by some advertisements Gwill has clipped from his own paper that seem to be coded in a particular way. Whatever Gwill was involved with, it seemed to also involve several other local businessmen—Dr. Hillyard, the undertaker Mr. Bradlaw, and the lawyer Mr. Gloss. This mystery is fairly complicated, but aspects of it are relatively easy to figure out. I was well ahead of the inspector in regard to what was going on with the ads but did not guess what else was going on. The novel is characterized by a wry sense of humor, particularly in discussions among the various police. I found it mildly entertaining. This is the second time recently that I’ve thought a new book by Georgette Heyer has been published, only to find it has not. instead, some of her existing work is being republished under different titles. In this case, Envious Casca, one of her mysteries, has been republished as A Christmas Party. Fortunately, I always enjoy Heyer, and I read Envious Casca so long ago that I didn’t remember it. However, I didn’t really need a second copy of the novel, so here’s a warning to you. Wealthy curmudgeon Nathaniel Herriard has no interest in Christmas, but his brother Joseph thinks it would be nice to have an old-fashioned Christmas house party. In an inept attempt to heal family rifts, he invites his nephew, Stephen, whose fianceé Nathaniel disapproves of, and that fianceé, Valerie. He also invites his niece, Paula, who has been badgering Nathaniel to back a play she wants to star in, and Paula brings the playwright, Willoughby Roydon. Also attending is Nathaniel’s business partner, Mr. Mottisfont, who has been arguing with Nathaniel about something. Mathilda Clare, Stephen and Paula’s cousin, has arrived uninvited, and of course Joseph’s placid wife, Maud, is present. On Christmas Eve, after several tiffs with the various guests, Nathaniel is found dead in his locked bedroom, having been stabbed. Inspector Hemingway cannot find any way that the murderer could have entered or left the room. That being said, things don’t look good for Stephen, who is Nathaniel’s heir. I was immediately suspicious of one character, and my instincts proved right, but I still couldn’t figure out how the murder was committed. There was a broad hint about that, however, in something trivial that keeps being mentioned. I knew it was a hint but was too lazy to look it up. I don’t really think, though, that the puzzle is the point with Heyer’s mysteries. Instead, it is her entertaining characters and her wit. I enjoyed this mystery, and Inspector Hemingway seems to be a worthy successor to Inspector Hannasyde.